Lake Sessions take place throughout the year on dates published on the Club calendar. Sessions mainly take place at Clevedon on the Marine Lake, but may occasionally take place at Portishead Marina. 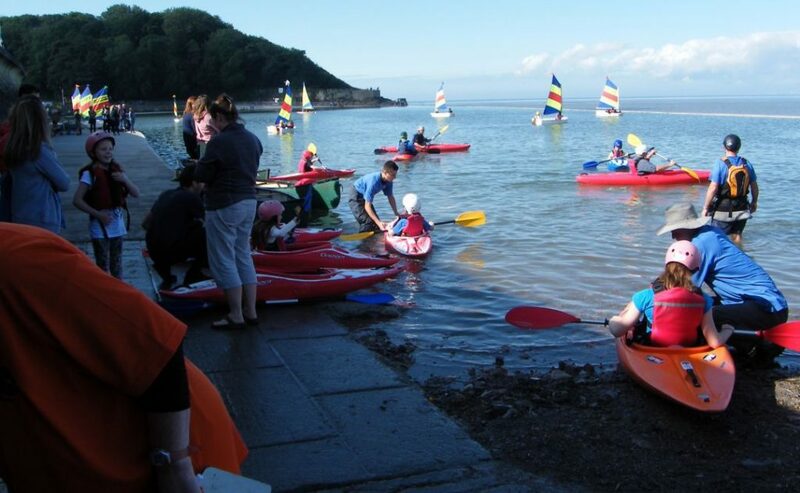 Depending on Coach cover, Junior members aged 14 and under may need to hold a BCU qualification (Paddlepower Start and above) and a parent/carer should stay in the vicinity. Sessions run from 9am and finishes at 12pm. You don't have to arrive at 9am, but the later you arrive the less time you will have on the water. Booking is generally not required. If booking becomes necessary, it will be advised on Club emails. Equipment is not bookable for Lake sessions. If a Coach is available on the water, unqualified Juniors may be allowed to paddle. Equipment hire is available at £3 per person. (see Equipment Hire for full details of kit use and charges). You do not need to pay if you are using your own boat. Helmets must be worn whilst on the lake, and you should only use a spraydeck if you know what to do in the event of a capsize. Trainers, jeans and good quality clothing are not recommended. Aquashoes or kayaking boots/shoes are ideal. Above all, dress for the prevailing conditions. We only have a certain number of boats so you may not have your first choice of boat . Can we also remind you that parking is not permitted outside the boatshed. You can unload your equipment, but you must move your vehicle and park elsewhere. Under no circumstances must the Coastguard building be blocked in any way. Specific details for each session will be published on the Club Calendar and by email.